Your Way Prioritizes Tree care maintenance for your commercial property so it will help to better protect your investment and enhance the value of your property. We develop a comprehensive, economic plan in order to effectively maintain your real estate asset. Our extensive experience with property managers facilitates in structuring a cost effective strategy expeditiously with meticulous attention to the pulchritude of the landscape.As an experienced, licensed and accredited tree service company Your Way has earned a reputation for quality,reliability and professionalism. Because we understand the unique requirements of each individual Project we continually provide the choice and flexibility to service your properties when it’s convenient. 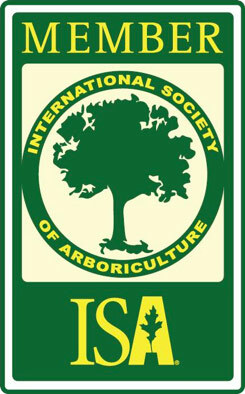 Many commercial organizations, including golf courses, historic properties, homeowners associations, schools, college campuses,institutions and unique properties such as orchards have praised our professionalism and expedience.Your Way Tree Services employs an award winning team of certified professionals with extensive industry experience. Our team will generate and develop a Tree Management plan that accommodates your budget by strategically focusing on services to meet your needs while maximizing the value of your property. If you are involved in a restoration project or manage a property, chances are there is more work to do than budget available to do it with. Drawing up a long term strategy, taking into account safety issues, species preservation and aesthetics requires reliable professionals with vision and patience. Long term plans and contracts protect you from ruining your property and facilitates the budgeting process. Often times, property managers and municipalities requires consulting with vision. Our consulting tree care services primarily relates to development, expansion, preservation or historical restoration. Your Way Tree Service can help you manage many aspects with long-term management of municipal and professional properties including site evaluations, project management, risk assessment and budgeting. Why Should I Invest in Commercial Tree Service? In our more than 10 years of experience in the industry we’ve seen many business owners get extra expenses and even serious problems related to property damage or even personal injuries because they opted for doing a tree removal or tree trimming by themselves or beginners. It’s always tempting to try to save a few dollars but we’ve seen how doing so can backfire most of the time. Every work performed by Your Way Tree Service is covered by full range liability insurance for up to $2,000,000 and a $1,000,000. We can show you all our insurance certificates and coverage by request before performing our job. Aside of that, Your Way Tree Service employs only California licensed seasoned experts. Our pros arrive to your property on time, ready to work, and use top quality tools to do the job right the first time. Your Way Tree Service provides one of the widest coverages in commercial tree service. We serve the greater Los Angeles Area and cover the cities of Agoura Hills, Bel Air, Beverly Hills, Brentwood, Calabasas, Encino, Hidden Hills, Los Angeles,Newbury, Northridge, Pacific Palisades, Reseda, San Fernando, San Gabriel Valley, Santa Monica, Sherman Oaks, Thousand Oaks, Valley Village, Van Nuys, West Hills and Woodland Hills.